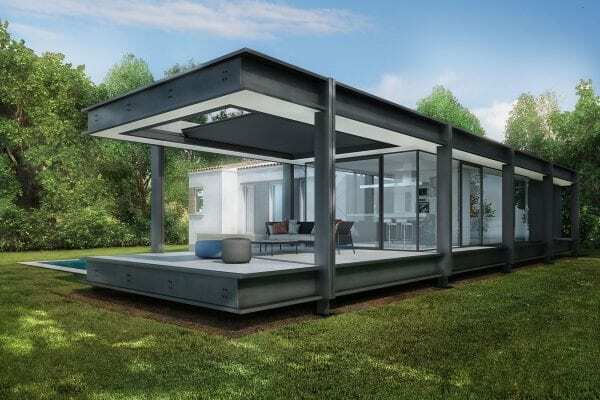 An ideal blend of design, technology and well-being, Pratic’s bioclimatic pergolas make it possible to obtain an outdoor structure that is perfectly integrated within the residential or contract context, and which contributes to the reduction of polluting processes with a significant advantage for the environment. 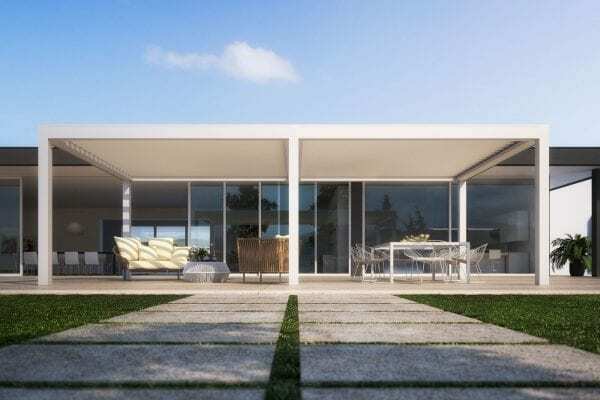 As the name suggests, bioclimatic pergolas are characterized for the completely natural climatic comfort that they provide: an aspect that makes them among the most popular solutions for those who want to optimize terraces, gardens and rooftops. Opera and Vision have adjustable sunscreen blades that provide ideal ventilation and cool conditions by simply exploiting the elements already present in the natural environment: primarily the sun and wind. 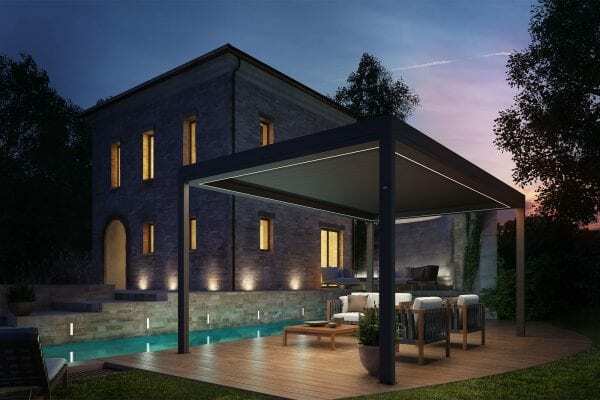 Made of aluminium, these blades can rotate up to 140 degrees and it is exactly their variable inclination that allows you to adjust the brightness and breeze to your desire, immediately creating the ideal conditions inside the bioclimatic pergola. 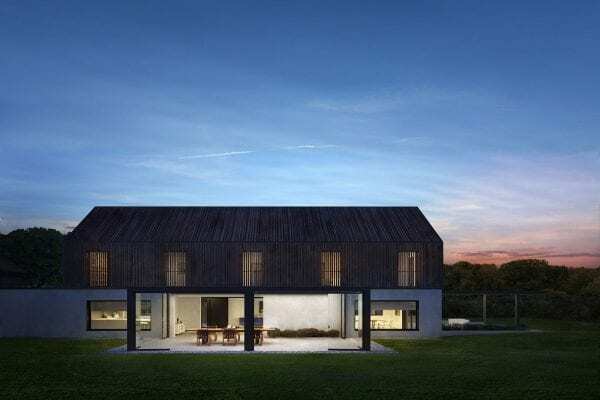 When it rains, the blades close as the rainwater is conveyed into perimetral and rain gutters integrated into the structure, thus ensuring total protection. 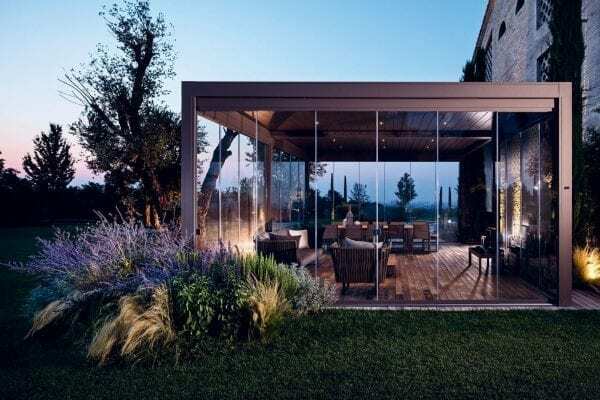 In line with Pratic’s style, bioclimatic pergolas also have an essential design that matches specific technological choices of absolute quality, for a simple and rationalized daily use. These are structures made of aluminium and with fine certified materials, to guarantee durability and reduced maintenance. Bioclimatic pergola structures can be customized with an exclusive palette of thirty-eight colours created by a team of designers and fashion experts. The entire painting process is carried out within the company, so all the work phases are supervised. In order to remain eco-friendly and value human health, no solvents are used during the painting, and the powders are almost 100% recoverable. The Tiger powders used by Pratic, almost 100% recoverable, ensure greater resistance to UV rays, salt and humidity, with colours remaining bright over time. 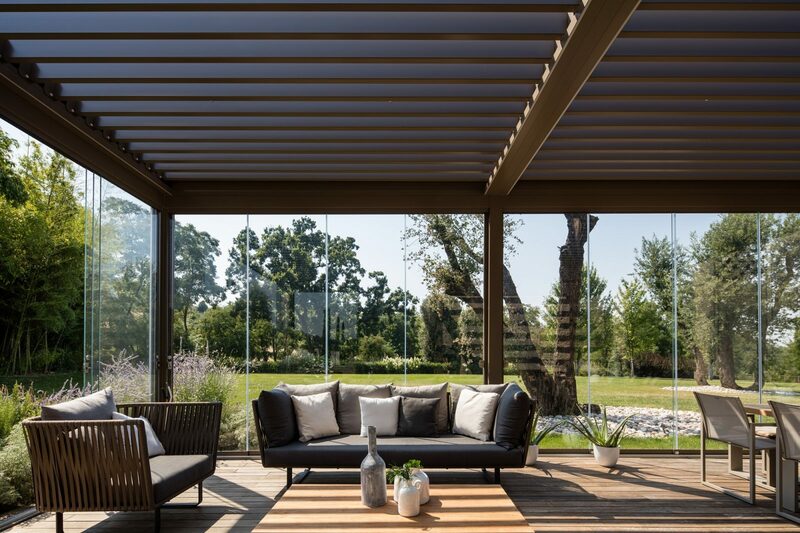 The automation, the accessories and the complementing features enhance the structure making every bioclimatic pergola unique. Slide Glass is a true window that in addition to its protective function, allows you to fully enjoy the scenery with various window closing options. The Spot lighting pods are recessed into the blades of the cover, and can be placed in any position, while the Raso awnings and perimeter RGB LED lights that are integrated into the structure, create spectacularly refined visual effects.